Horses are one of the things we at the Old Livery are most proud of. Loyal companions eager to entertain you on the trail or on the ranch, these animals have been inseparable from us for centuries and for good reason. We love our Jeeps and trucks, too, but there are things you'll see from your mount that you'll never see in a car. 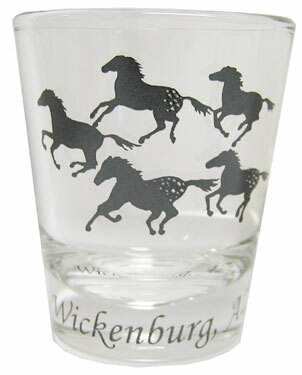 This double shot glass celebrates our relationship with the horse.